South Central Kentucky has one of the richest heritages of basket making anywhere in the country. It began during the pioneer era when settlers brought their knowledge of the craft from elsewhere, then adapted it to work with locally available materials like white oak and willow. Back then, baskets were made for necessity – people needed something to carry and gather things in. During the twentieth century, Kentucky craftsmen and women continued to make baskets for their own use, but they also began catering to the tastes of travelers driving along 31W – then the main thoroughfare between Louisville and Nashville - and who would frequently stop to buy souvenirs at the tourist-stands that lined the route. Then later, after I-65 opened (taking away traffic from the smaller roads), they began attending the craft fairs that were becoming popular. Basket making styles changed accordingly. Initially, baskets were built to be sturdy for use around the farm. Now they are made more for looks than work and are intricately crafted into a wide variety of shapes and sizes. Kentucky today is home to some of the finest basket makers in the United States - and during the April open house, you'll have the opportunity to meet a few of the stars. 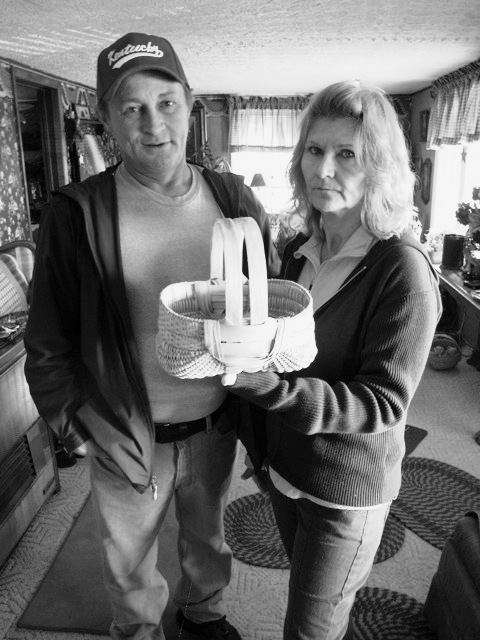 Michael Childress and his wife, Boneda, both come from several generations of basket makers. In fact, the tradition has been passed down from right around the time the Gardner House was originally built. 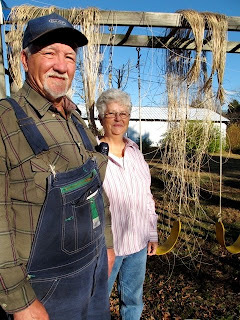 Charles Long also has an extensive family tradition in basket making. His wife, Charlene, fell in love with the craft after marrying Charles and has certainly made up for lost time. The Longs work in willow and honeysuckle, rather than the more typical white oak. If you'd like to see the craft in action and hear about basket making traditions from the very people who carry on today, be sure to reserve your spot at the open house as soon as possible!